Doctor's Best Bacopa with Synapsa helps support an improvement in visual processing, learning rate, working memory, information retention and mental performance. Synapsa supplementation can help decrease the rate of forgetfulness and improve multitasking accuracy. 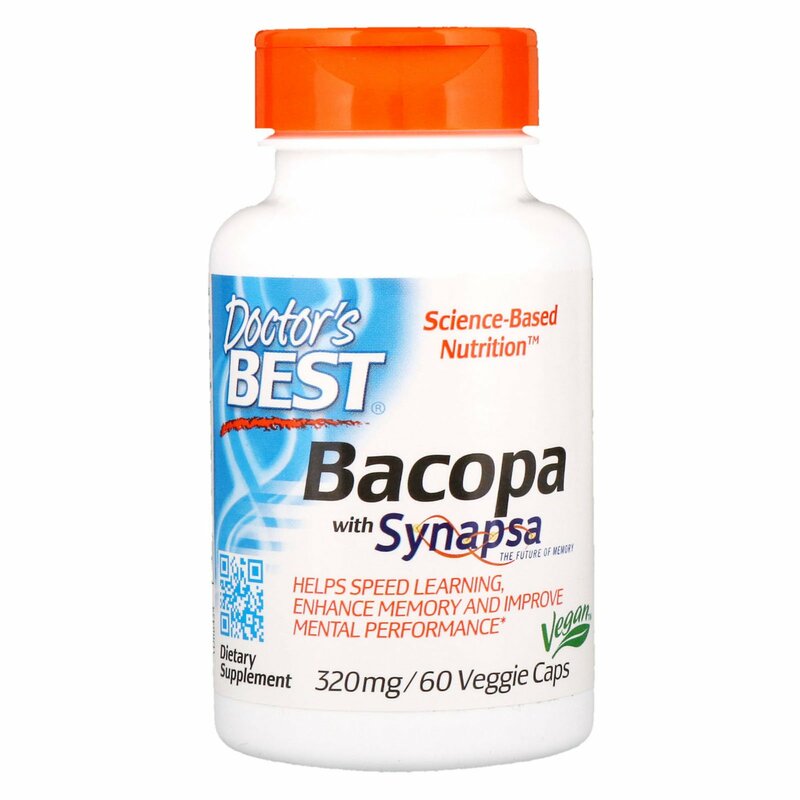 Clinical studies show that Synapsa helps support mental performance in cognitively demanding environments such as test-taking. 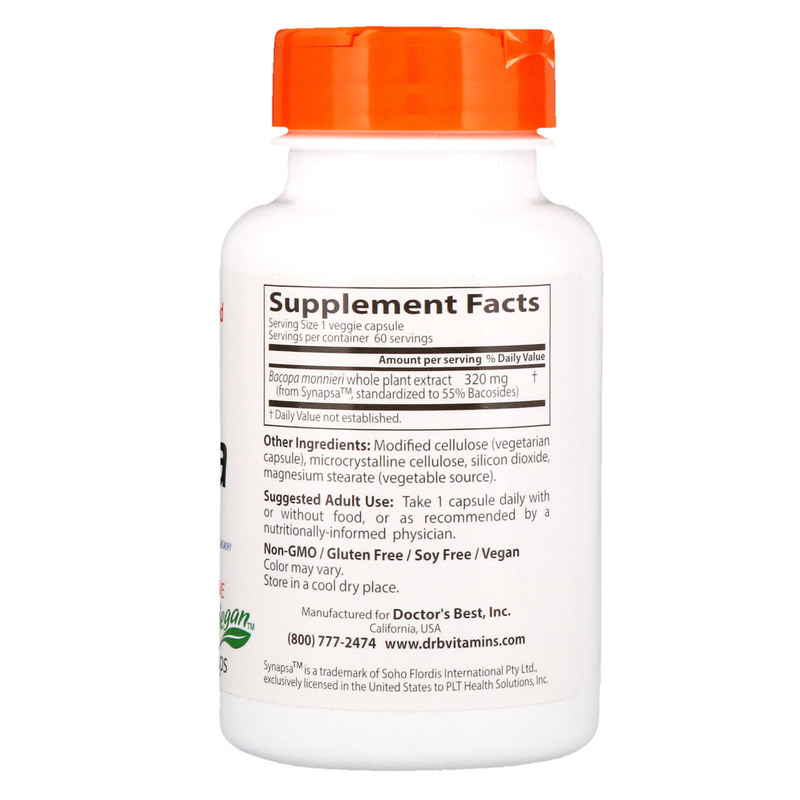 Take 1 capsule daily with or without food, or as recommended by a nutritionally physician. Modified cellulose (vegetarian capsule), microcrystalline cellulose, silicon dioxide, magnesium stearate (vegetable source). Color may vary. Store in a cool dry place.